Pretty much all of our decorating was completed yesterday, and I love this lawn stake sent to us by The Home Depot and Environics PR. It's got the right amount of spooky, with a little bit of fun thrown in as well. The best part, is if you'd like to pick one up for yourself before Wednesday, you can grab them for under $10! 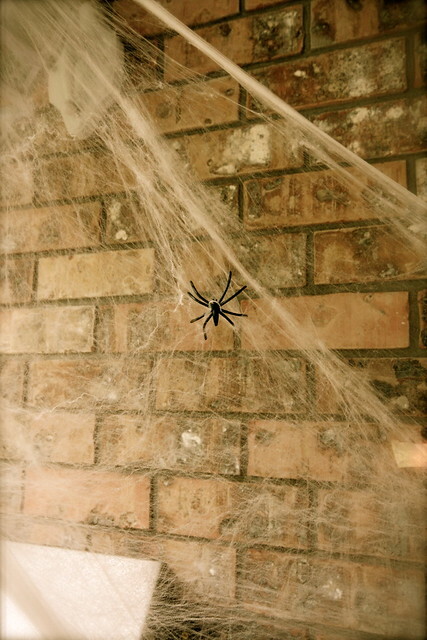 By the front door we added a bunch of our spider webs which we've had for a few years now. I love the way we were able to frame the entire doorway with them, and there is even one on the inside of the window next to the door. I told B I'm going to have a hard time distinguishing the real spiders from the fake one's hiding in our webs. 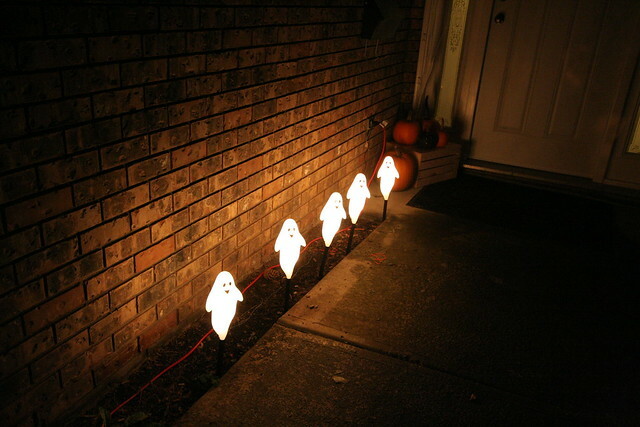 We also added some ghost stake lights to the empty strip of garden next to our walkway. We picked those up at Target during our last visit to Seattle for $15. We figure we'll get some good use out of them in the years to come. Our five pumpkins that we picked up over Thanksgiving weekend, are hanging out by the front door. We've had every intention to paint or carve all of them, but so much as been happening that I've only had a chance to tackle the one for Halle. 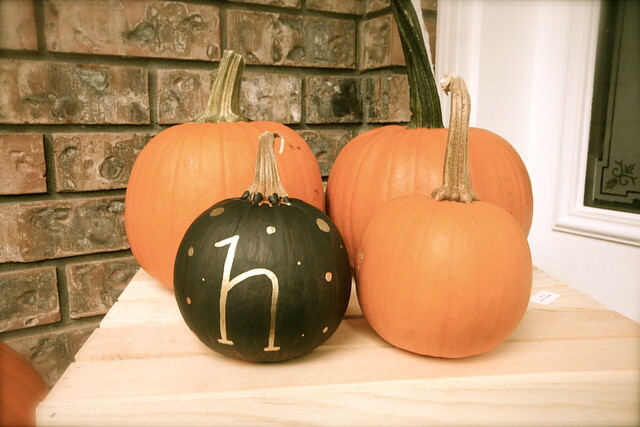 I painted it with two coats of chalkboard paint, and then used a gold paint pen to create the polka dots and free handed "h". I love how it turned out, and I hope I can get paint at least one more before the big day! 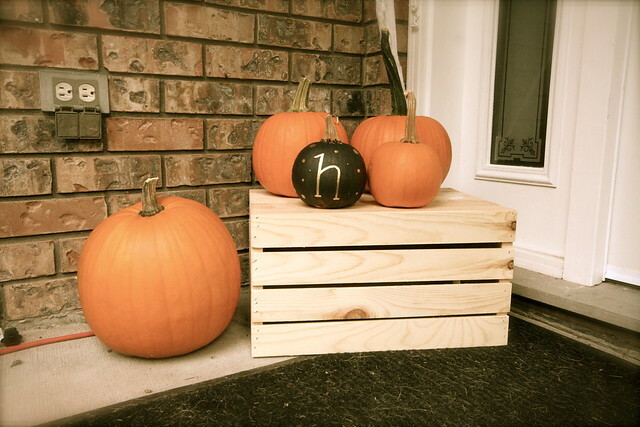 The wooden crate that they are sitting on also came in The Home Depot's Halloween package, and as soon as I saw it, I knew it would be the perfect way to add some height to our pumpkin collection since we don't actually have any front steps. 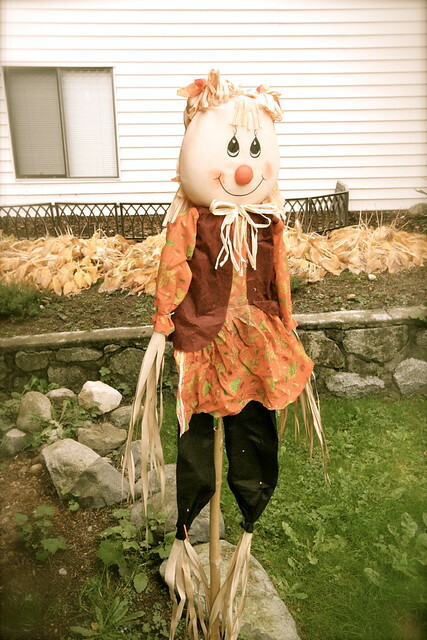 This scarecrow also came from The Home Depot. I wish we had, had a chance to use her longer, and we had hoped to grab a couple of bails of hay to place around her, to make it look like she was sitting on something but time just slipped away from us. For now, she's just hanging out in the empty garden bed in front of our dining room bay window. We think she's pretty cute, and to be honest, once it's dark, her six foot figure looms in the darkness making it look like someone is standing in our garden bed, which is pretty creepy. 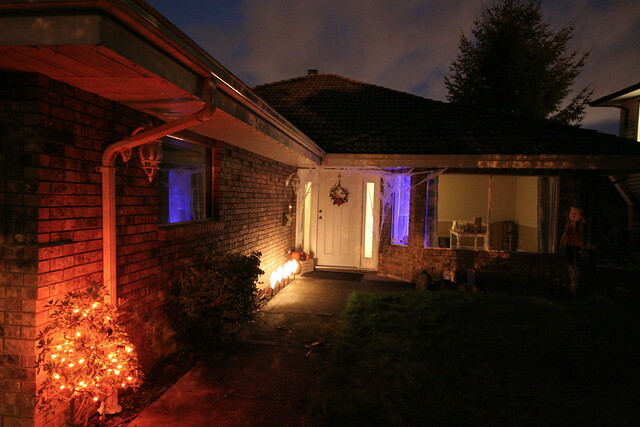 Once it gets dark, it's much easier to see some of our favourite items that came from The Home Depot. In the bottom left hand of the above photo, you'll see our little orange glowing tree. These ten feet of mini lights were perfect to light up our walkway, and if you want to grab some of your own... they'll cost you under $5! Yes, there is still time to run out and grab some before Halloween! You'll also notice a blue hue in our one dining room window, and reflecting off the garage window. In our package, we also received a fun little strobe light. I placed it in our dining room and B and I had a ton of fun playing around with how fast we can make the lights flash. Again, this is a great item to pick up - it's small and under $3! Perfect for those decorating on a budget! I love the atmosphere cast over our home for Halloween. 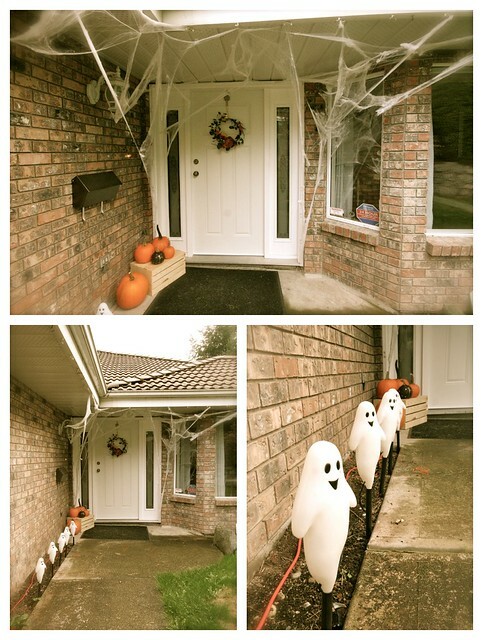 Every year decorating get's a little more fun, so I'd like to say a big, huge THANK YOU to The Home Depot and Environics, for helping make this year that much better. 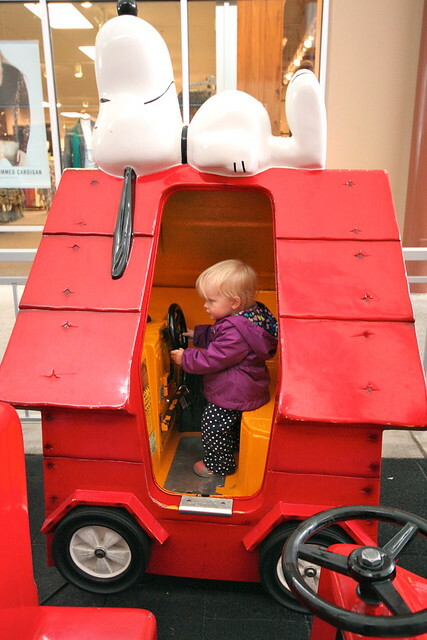 I know that Halle will get a kick out of each of those items in future years as well. Are you ready for Halloween? Did you go to any costume parties this weekend? I'd love to hear what everyone else got up to this weekend - B and I had a pretty quiet one around here, so we'd love to live through your weekends! 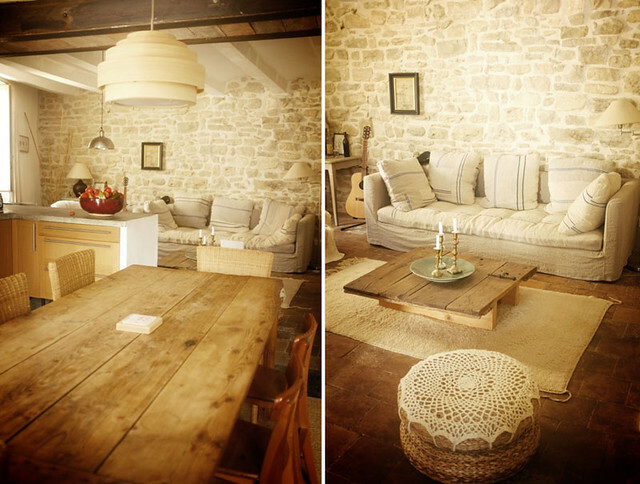 Anyone looking for a dream home in Provence? Well, this pretty place shared on desire to inspire, may just hit the nail on the head. Anyone else love it as much as I do? 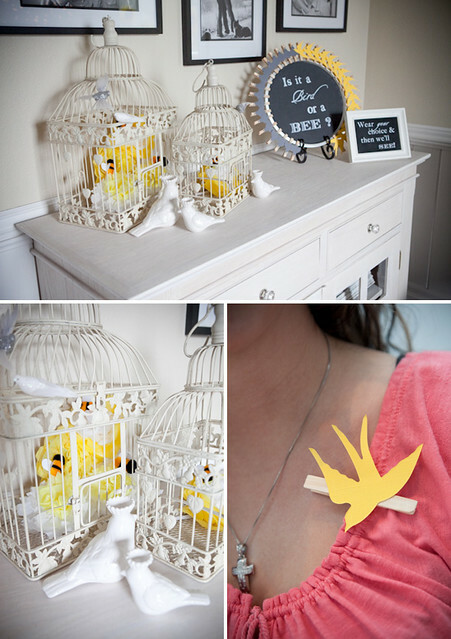 This "Bird or Bee" themed gender reveal party, from On To Baby, is just so sweet. We're not ready for #2 yet, but when the time comes, I think I will definitely plan a fun gender reveal party! Loved every image of this gorgeous home on House of Turquoise on Wednesday. Of course, I was most drawn to this striking kitchen! Love all of the white with those really bold patterns of colour! So fun, and I think it could actually be a really great family kitchen. 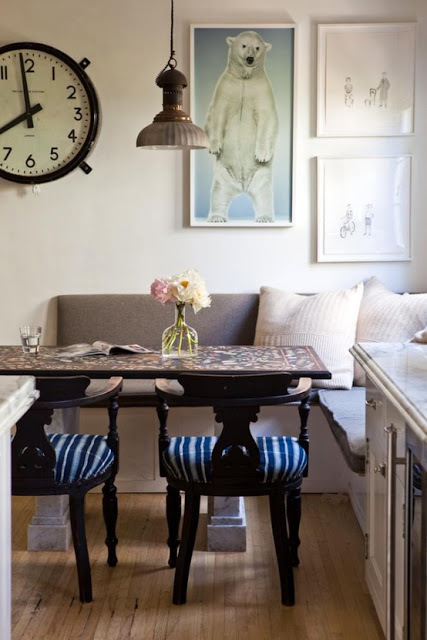 I would LOVE to have a banquette like that in a future home! Well, we finally have a weekend with nothing huge on the agenda. 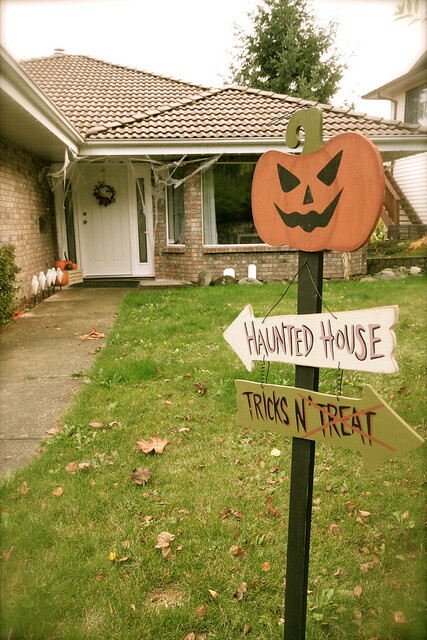 We'll be sticking close to home and probably getting our Halloween decorating finished. I can't wait to share it with all of you next week. I also plan on FINALLY revealing my latest endeavour with you early next week, so keep an eye out for that as well. So that's us. 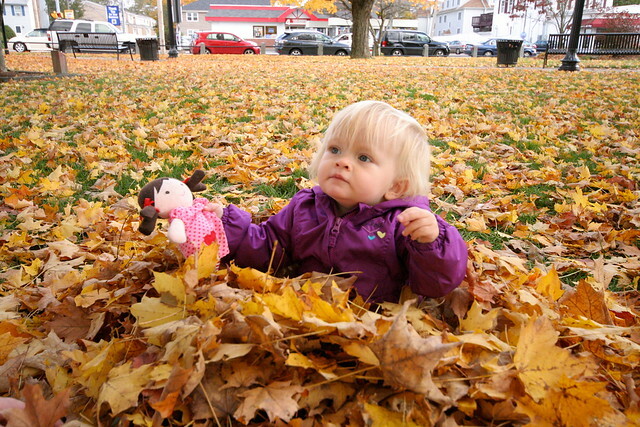 What do you have planned for this final October weekend? Okay, so I finally have a little update on our garage sale chair... which still isn't done, but we are so close I can taste it! It's become one of those projects where I desperately want to finish it, but can't be bothered to finish it all at the same time. We all have them... right? Please tell someone else out there does this? If you remember from my last post, I spent an insane amount of time pulling upholstery tacks from this chair, to carefully remove the old red fabric. 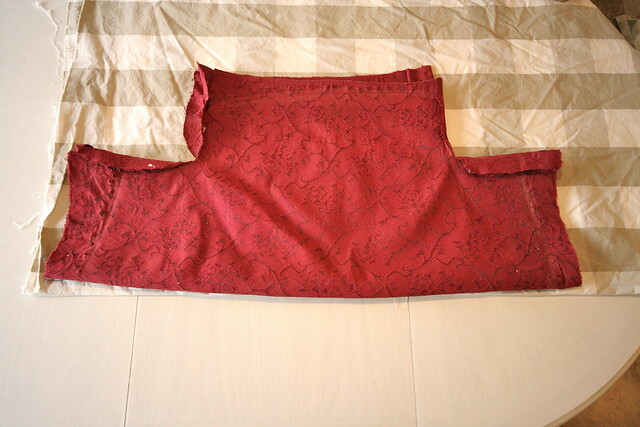 I'm glad I took my time because each old piece of fabric came off perfectly, and I was left with great templates for my new fabric pieces. 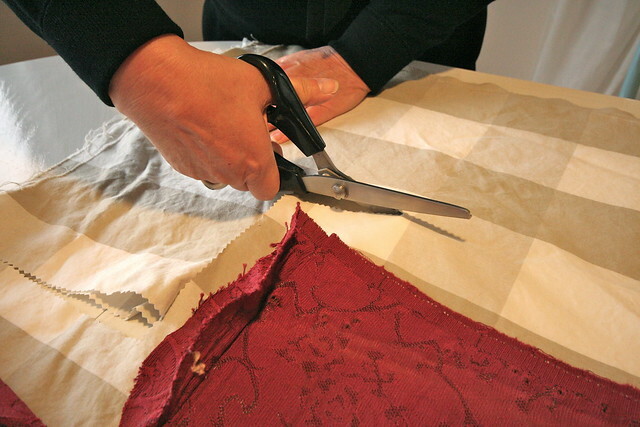 Next we cut just outside the edge of the red fabric in order to get our perfect new piece of fabric. It was really that simple - for the seat anyway. We started with that piece, as it was the largest. This left us with very little waste, and also helped us figure out how to line up the checks for the next two pieces we would be cutting. 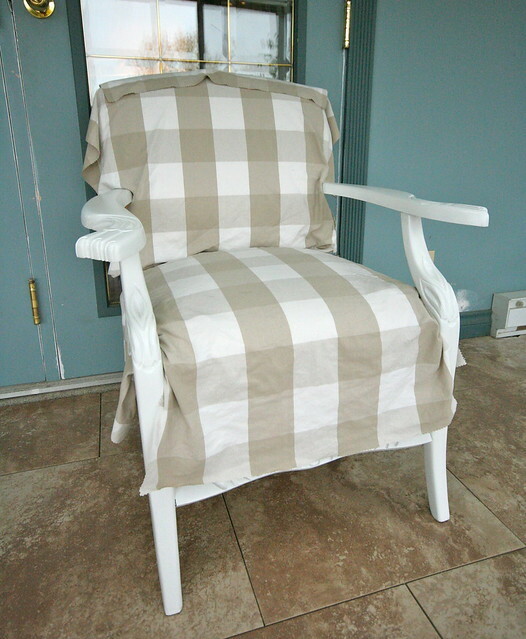 Since our new fabric was folded in half, we already had it worked out so the checks should line up perfectly once all of our pieces were cut and stapled to the chair. 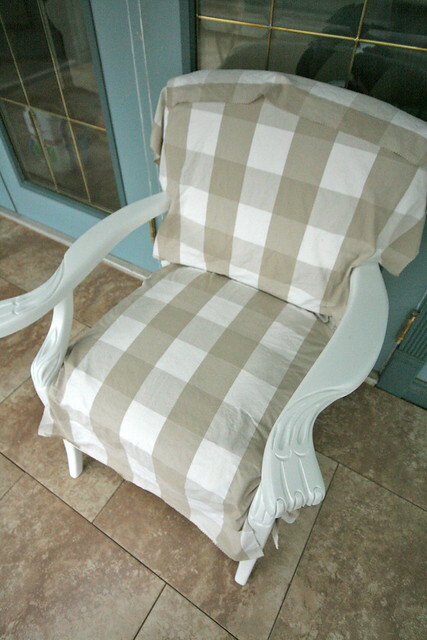 This would have been perfect - but of course the two pieces for the back rest were a little more tricky. Our original plan was to continue matching up our folded edges. Unfortunately, if we did it that way for the two smaller pieces, it would've resulted in a considerable amount of wasted fabric. 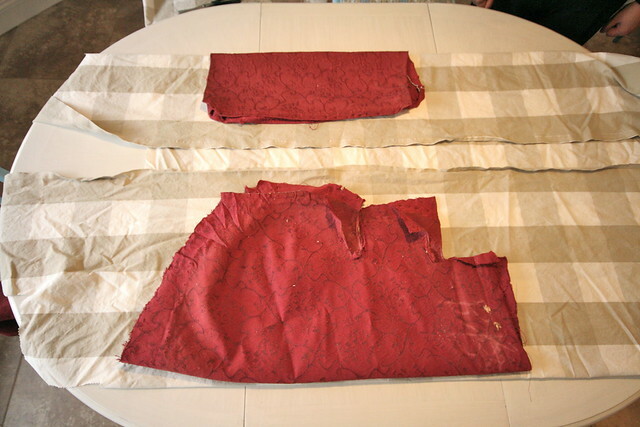 Instead, we played around with our two (smaller) pieces of fabric and how we folded the new fabric. It turned out, we could fold the new fabric in two spots and end up with the same repeat of the checks, running in the same direction so that our back and seat would line up nicely. I don't know why, but I'm finding it a little hard to articulate our process in this post. I hope I have been clear enough, but if not, please feel free to ask any questions. I would happy to answer any specific questions, or to clarify on a certain point if anyone would like to know more. We are SO CLOSE! Seriously, so incredibly close and maybe this will be the weekend that we finally finish it up and put it to use in the house. Have you had any projects that just sit idle for way too long, even though you are dying to finish them? Anyone else having a lack of motivation on projects and blogging recently? Please tell me I am not the only one falling off the blogging radar. I do miss it... I just don't have anything worth writing about recently. Happy Monday everyone. Last week was incredibly quiet, but we had a busy one. 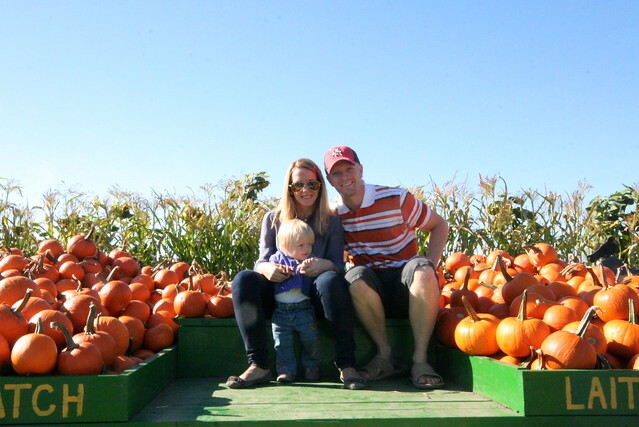 October has been the month of weekend trips, so I thought I would drop in and give you a look at what we've been up to. 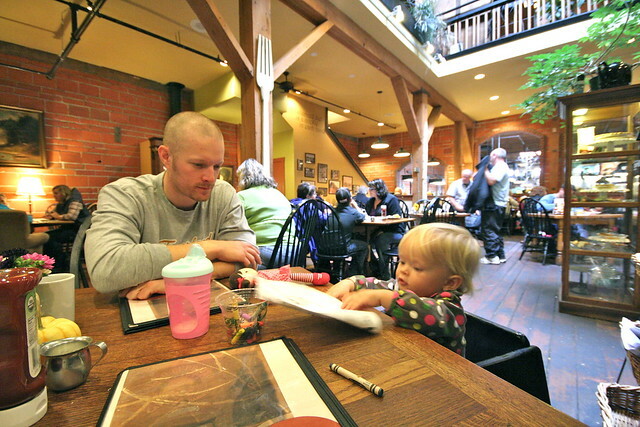 Two weekends ago we had some really nice family time, escaping south of the border for the weekend. We were up bright and early on Saturday morning and headed down into Washington. 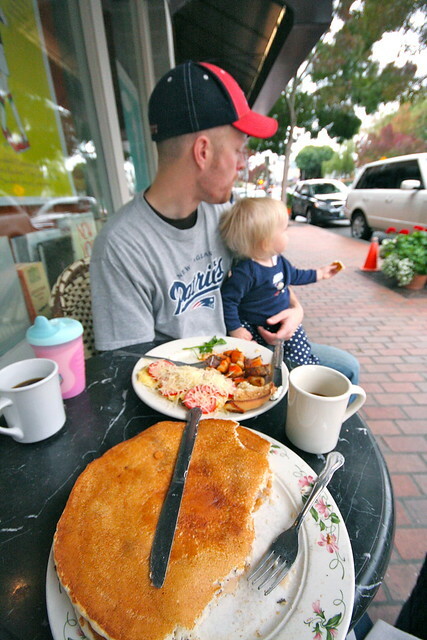 Our first stop was just outside of Burlington, Washington where we stopped fro a delicious breakfast at Calico Cupboard. It was really a great family day, and we spent the night at the Hilton in Bellevue. 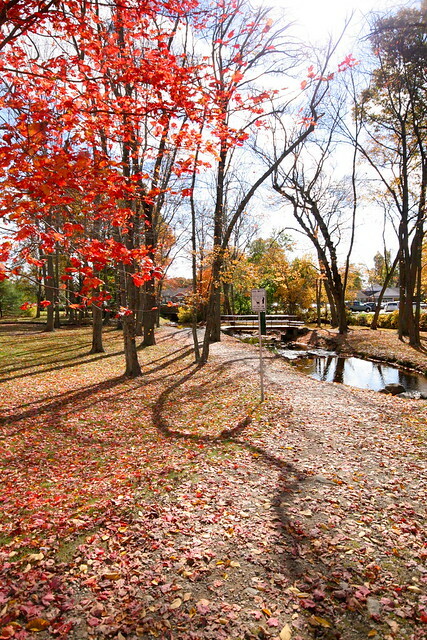 It was a great location, nice and quiet being far away from the city. Though we had, had plans to head into Seattle for dinner and some sight seeing, our plans fell through, but we enjoyed ourselves regardless. The next morning it took us a while to track down a place for breakfast, but we finally ended up at a nice little place called Gilbert's, in Bellevue. 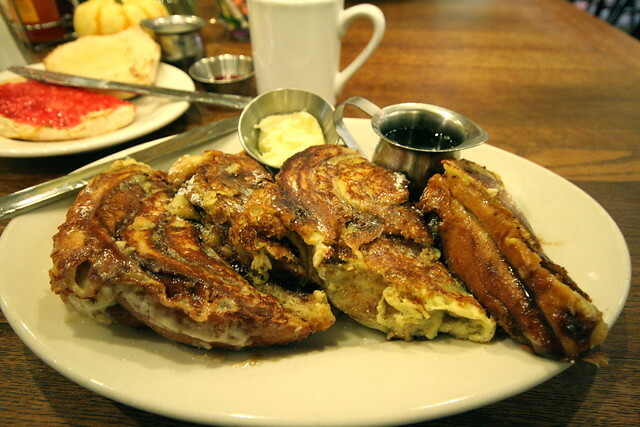 The portions were HUGE and the food was delicious. 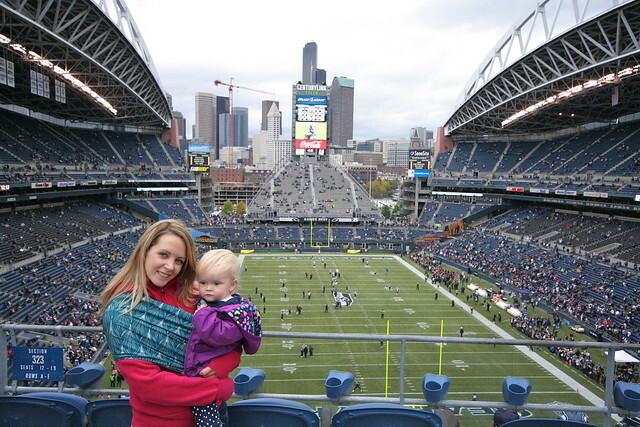 I'm sure B and Halle's outfits give it all away, but we spent our afternoon taking in the Patriots and Seahawks game. Halle was fabulous and lasted as long as we stayed (which was about halfway through the 4th quarter), and we thankfully had covered seats and were able to stay dry. We were disappointed that the Pats lost, but overall, it was an incredible weekend. This weekend was another great one. We were once again in the good ol' USA, only this time, we were on the east coast, back in Massachusetts visiting B's family. His cousin got married on Thursday and we had an incredible time celebrating and visiting with everyone over the weekend. 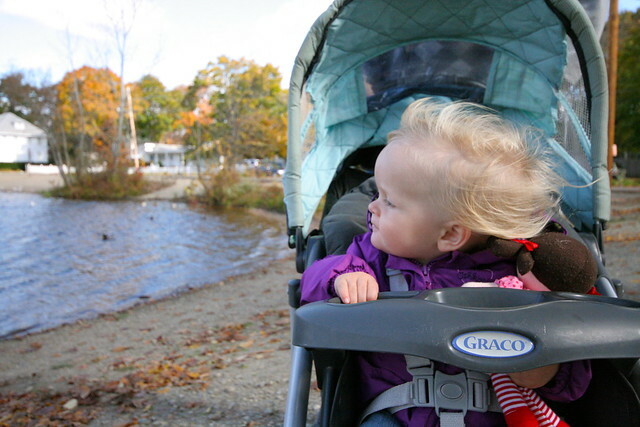 My camera was tucked away for our whole visit, with the exception of a little family walk we took yesterday morning. 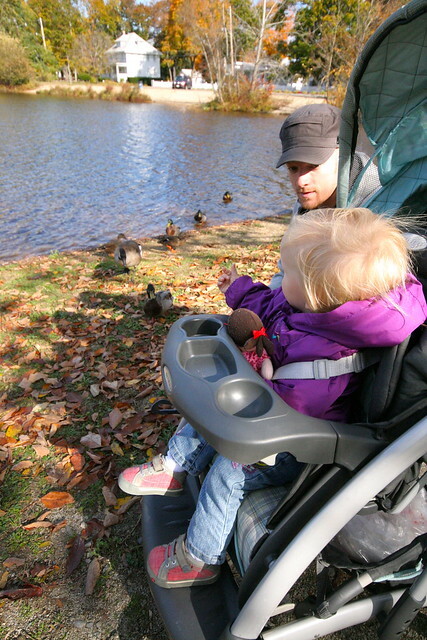 We took Halle down to the pond near B's parents house to feed the ducks, and then enjoyed some of the leaves in a nearby park. It's moments like this that make me happy. 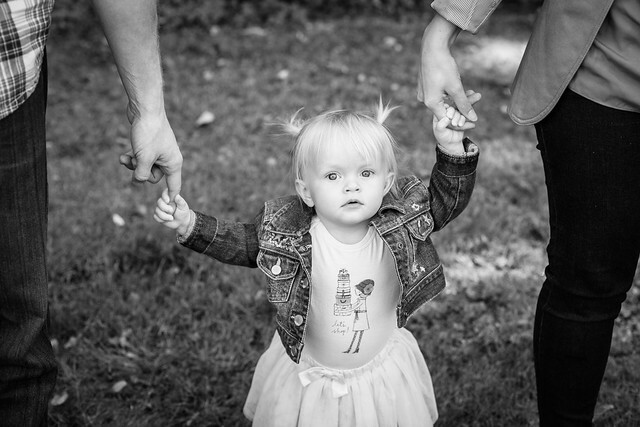 These small memories that we create together, and the smiles that we get from our baby girl with each new experience we introduce her to. I know we have many more to come, and I look forward to each of them. Things are been very quiet around here. There are more than a couple reason's for that. Largely, I have been so focused on my newest project, I haven't really been doing much around here that is worth posting about. I don't feel the need to share every little mundane thing we do around here - I want this space to be inspiring, not boring. I hope that I can bring some inspiration back to these parts soon. Second - I've been really focusing on our family. 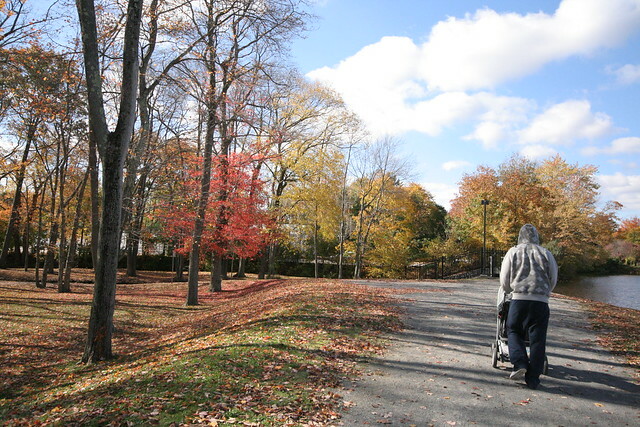 Therefore, when I am home during the days I am cleaning, running errands and getting stuff done so that when B is home in the evening and on the weekend we can spend more time together as a family and not worry about that other stuff. 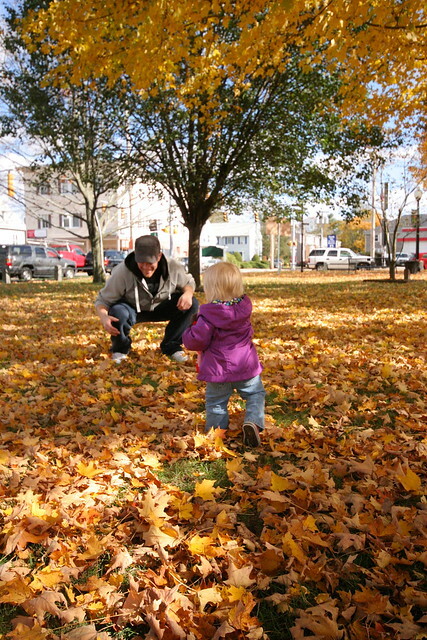 Of course, when I'm not doing all of those things, I am spending time playing and exploring with Halle. 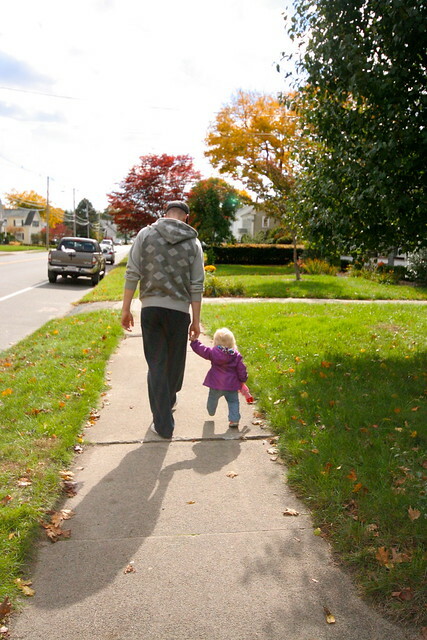 We enjoy just doing stuff at home or getting our for a walk or exploring together. This age is so fun with her and I just want to soak it up. Kim is one talented lady, and was a pleasure to spend some time with. 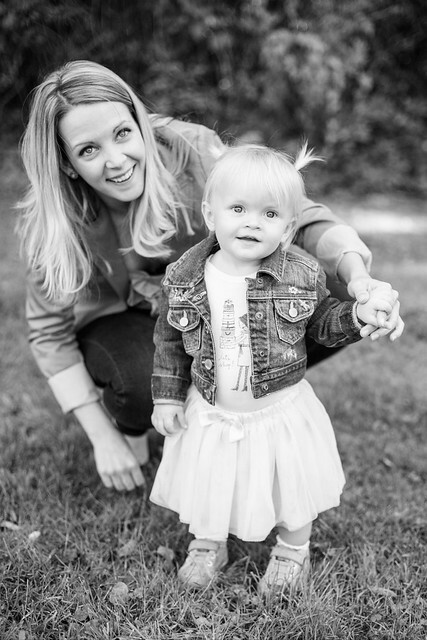 The whole session was very laid back, and she was so wonderful and patient with Halle, who really very little patience for the shoot..
Really, it's so great to find a photographer out here that we love, and that I would recommend to other people. So yes! I 100% recommend Kim and her lovely work. 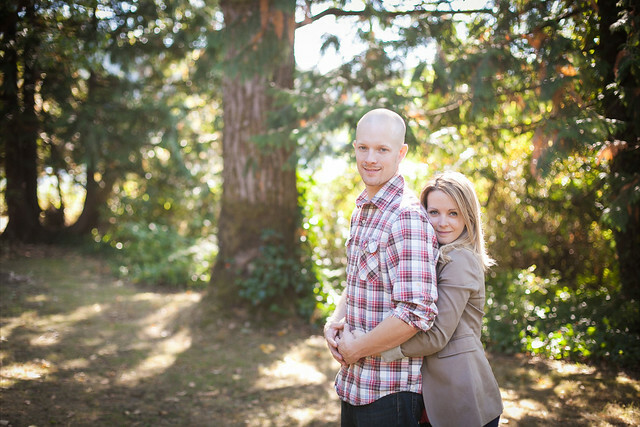 To see more of the beautiful photos that she takes, you can check out her website right here. So there you have it. Life is so full, and I am so happy with everything that we have at the moment... which will leave huge gaps in my posting, but I promise to stick around. You'll hear from me when I have something worth sharing... I'm not going away. 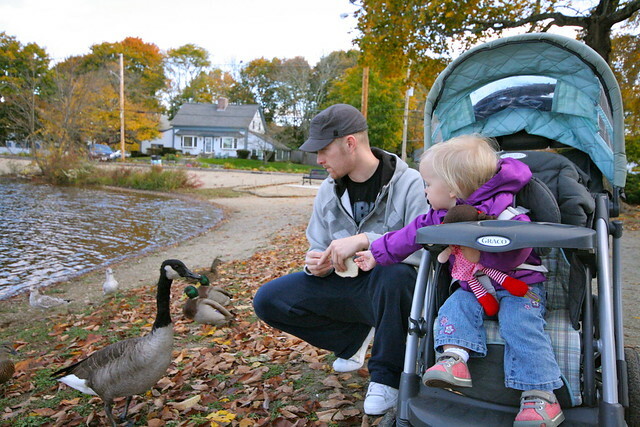 Just enjoying my family. Did you see the beautiful photos that Lisa hung in her Dining Room? She took them while visiting back home, which I think is something so special and personal to add to a space. Mackenzie, of Design Darling, wrote an EXCELLENT post yesterday on self-employment and supporting people in their decisions. I loved seeing her open her own boutique and I totally applaud her, and everyone else, who decides to strike out on their own and try something new. It's so important to follow your heart and do what makes you happy. Focus on the people who lift you up and help you out, and close out those nay-sayers who just want to judge and drag you down. 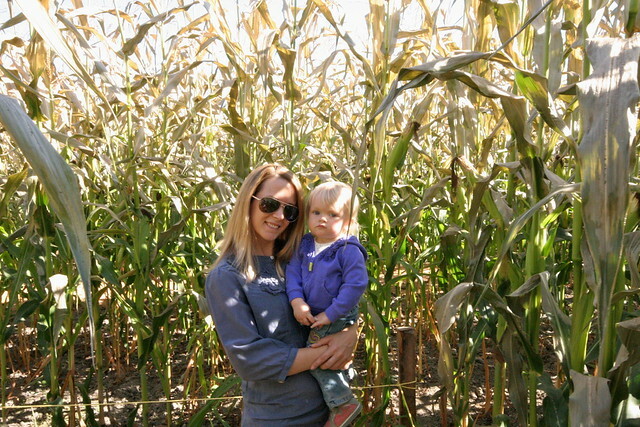 I highly recommend taking a quick read of her post, if you missed it! 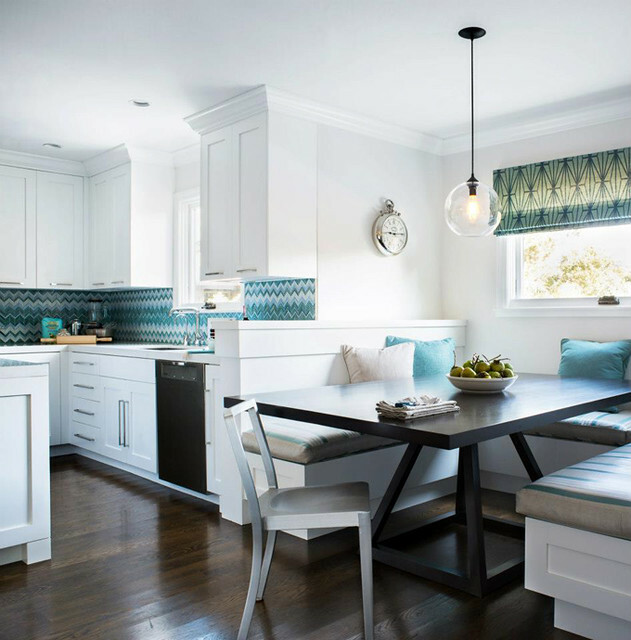 Some gorgeous beach house eye candy (designed by architect Michelle Balfoort and interiors by Beach Chic Design), over on House of Turquoise. I choose the bathroom as my Fancy Friday picture because it's absolute perfect. I love the weight of the chunky countertop on that aged looking cabinetry. 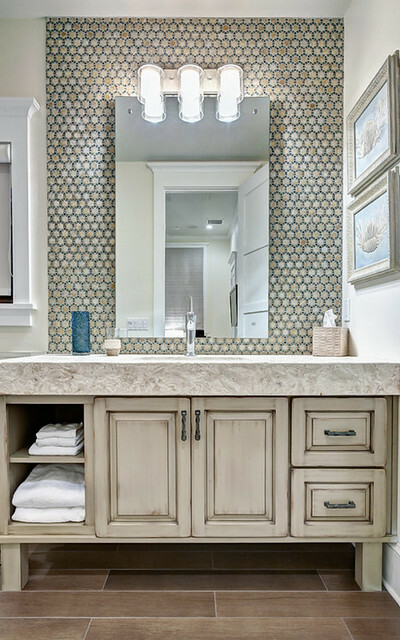 The mosaic tile on the wall is to die for! So lovely. Can I have a bathroom to renovate please? Well, Friday is once again here! 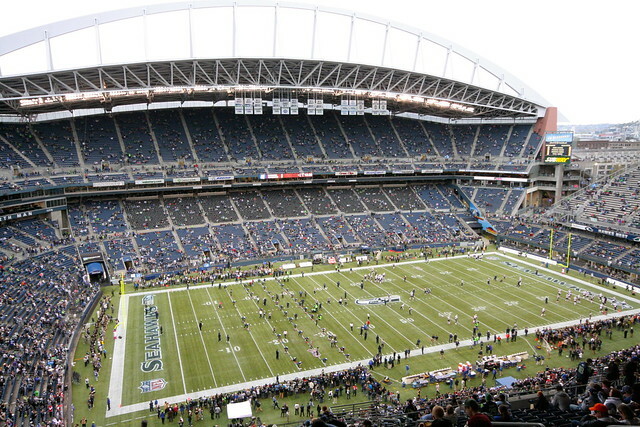 I'm pretty excited that this Sunday we'll be seeing the Patriot's play the Seahawks down in Seattle! Weeeeee! We'll have Halle with us, and we're not too sure how it will go so keep your fingers crossed. Her last sporting event was in February, so she was just seven months and she sat patiently through 2 periods of hockey. I just couldn't fathom leaving her with a baby-sitter (who isn't family) while we were hours away, in a different country and our return home is dependent on border traffic. I'd rather take my chances at the game with her. In other EXCITING news, I hope to launch my newest project next week. I was so busy this week working on things, and I still have some more to do, but my hopes is to share it with you at some point next week! FINGERS CROSSED! What fun things do you have lined up for the weekend? Happy Thanksgiving (Canadian) Friends! Well many of you may have already had your big dinners, there are plenty more to be had over the coming months! I was so thankful to hear from David Morrison over at UK Tool Centre, who in my opinion writes very well though out guest posts. I have been so busy recently, and his offer to help me out was gladly accepted. Today, I have a post from David on how to transform your Dining Room into a "Hosting Room". Preparation is key in the run-up to a party; a good host not only throws a great gig but enjoys being there themselves. A well planned event can guarantee little work or stress of the day of the event, though you might be dusting off your power tools in the run-up! When you don’t have space to entertain, you have to make do with what you’ve got. Following these tips and tricks will ensure that your next bash goes off without a hitch. Depending on the occasion or time of year, it is usually a great idea to decide on a theme. With that said keep decorations simple and use what you have. 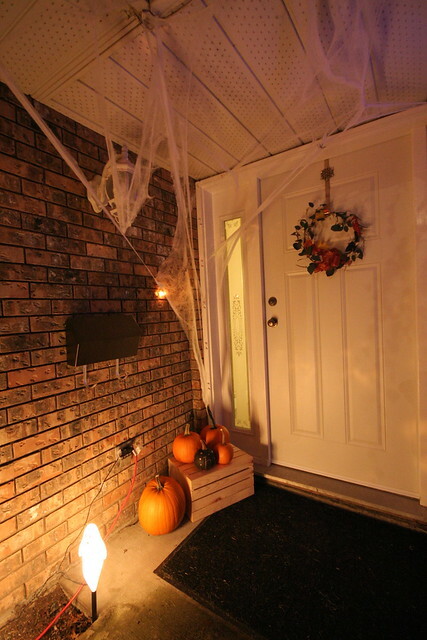 Guests usually notice decorations last, if at all. Choose a few key places to decorate and call it a day. 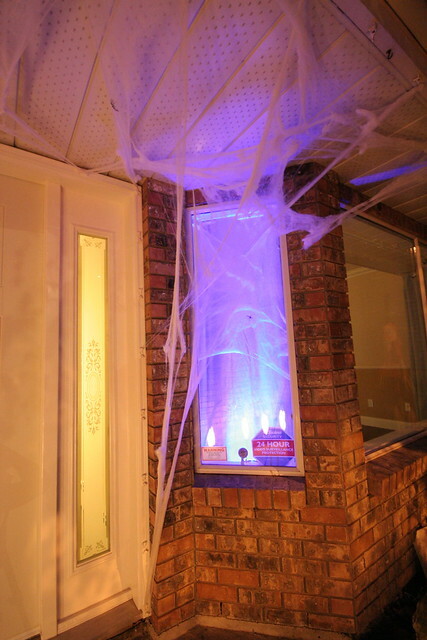 I would recommend decorating the front door, possibly a fireplace mantel, or the powder room. Decorating smaller areas is easier and more noticeable than trying to decorate an entire living or dining room. Also use candles wherever you can. Candles are inexpensive and provide a ton of bang for your buck. They truly “set the mood” and make your ordinary rooms feel special. Unless you are hosting a formal dinner party, I would suggest removing all of your dining chairs from around your table. Treat the table as a buffet and use the chairs as extra seating around your home. 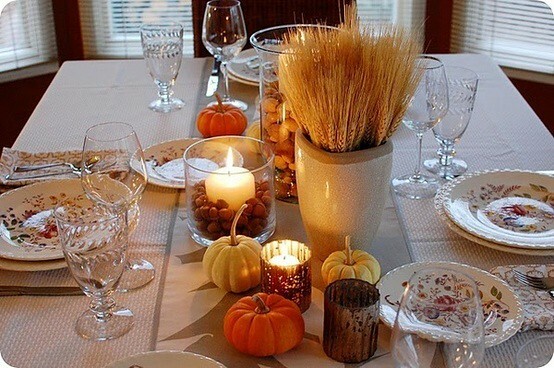 Since decorations are limited, your dining table and all of the food should be the centre piece of your party. People will always crowd around the food (or drink!) so this is the area you want to spend most of your time preparing. First I would recommend covering the table with layers of linens. Start with a table cloth, and then layer on additional table cloths and runners. Because this will be a buffet and not a dining table, bunch up the layered table cloths so they flow over the table rather than laying them flat. Next gather your best dishes, cake plates and serving platters from around your home. The key to creating an interesting arrangement is to create levels and differing heights. Use boxes under the tablecloths to create platforms and elevate different dishes. You want the highest levels in the centre of the table and lower levels around the perimeter. If you are a chef, this is your time to shine. If you are not, now is not the time to start pretending. In other words, don’t fool yourself. Keep the food simple and fool proof. For a party of 10-15 guests I would recommend preparing 3 cooked dishes, and using store bought items for the rest. Never underestimate how much people appreciate a bowl of festive M&M’s or gourmet potato chips. Make any food the day before so you can simply plate it the day of the party. With your table scape in place, use sticky notes to label exactly what food will go on each plate. 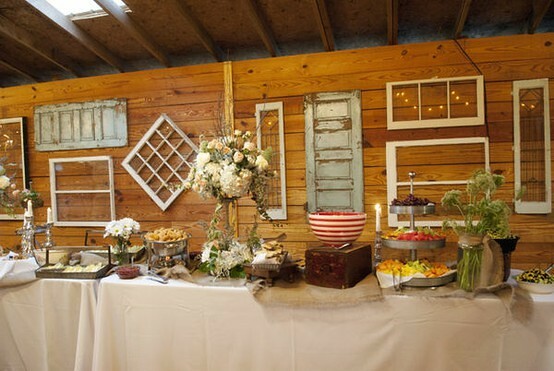 This way, even if you are running around taking care of last minute details the night of the party, someone else in your family can put out the food. When hosting a party it is important to act the part of the host. This means greeting your guests at the door and taking coats. In addition it is nice to have a guest book out in your front hall as a way to remember the evening. Make sure to have appropriate music playing in your home to set the scene, it’s a great way to evoke an initial feeling. On the buffet table make small signs for each dish so guests know what you are serving and have some extra recipe cards in case anyone asks. Remember that the host always sets the tone and looking stressed and disorganised will create a bad atmosphere so being on top of everything for when your guests arrive is paramount! The other thing to remember as the host is that you have to look the part too, finding the time to look well groomed and appropriately dressed for the style of your party will always help settle the mood of the occasion too. And most of all, after all your hard work and preparation, you must have fun too. Author Bio: David Morrison is an avid DIY’er, renovator and party host. Being a husband, father and brother; he’s attended his fair share of parties and knows a thing or two about how to run them. Embracing his inner tradesman, David currently works for UK Tool Centre. This is probably the first time I haven't been with my parents and extended family for Thanksgiving. 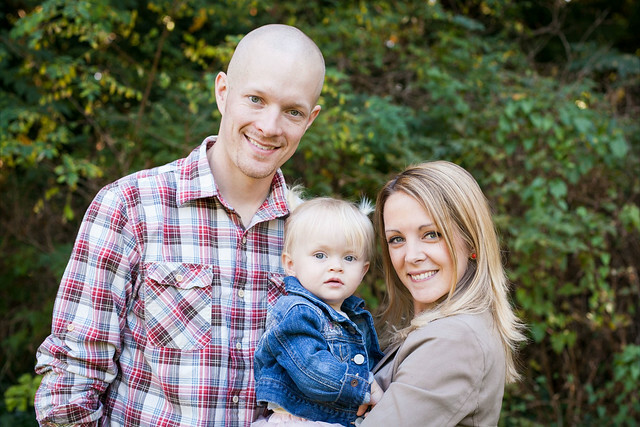 That's not always an easy thing, but I am pretty lucky that I have my little family together. B, Halle and these pups are what I need every day, so I am thankful that we are all happy and together on this holiday Monday. We shared a Thanksgiving feast with friends on Saturday, hit the pumping patch yesterday and tonight we'll be roasting up our own little turkey and enjoying a second helping of some yummy Thanksgiving foods. Most importantly today I am thankful - SO thankful - for the incredible things I have been blessed with in my life. Halle, B, our pups, our wonderful loving and supportive families, incredible friends (both near and far), a roof over our head in a beautiful place and free country, food in our fridge and money in the bank. I am thankful for all that we have been given, and all that we are able to enjoy together! Happy Thanksgiving everyone - whether you are celebrating or not, why not take a moment to think of what you are most thankful for today? 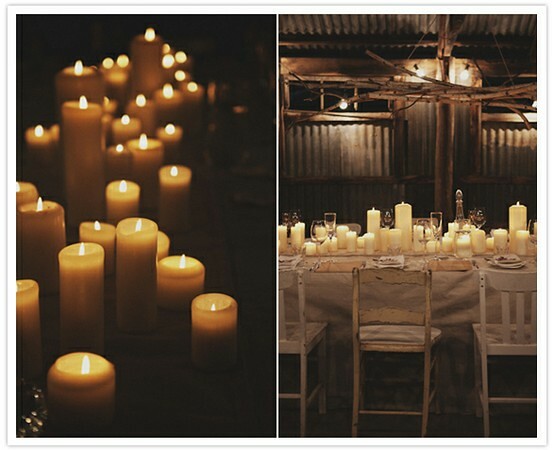 So many beautiful spaces in this post on desire to inspire last Friday. 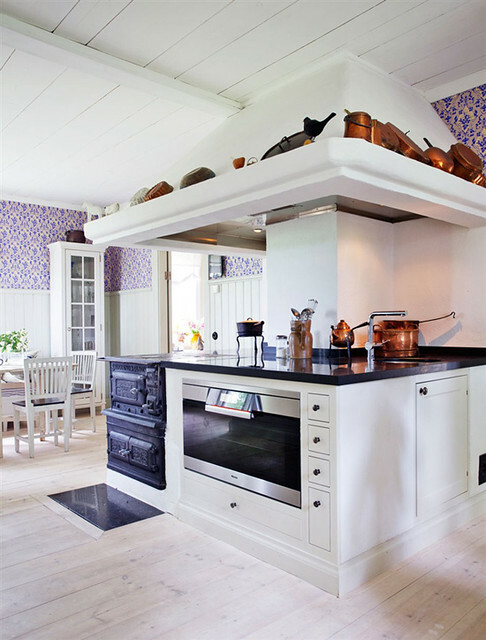 It was hard to pick my favourite image to share in this post, but in the end this lovely little kitchen won out. Darling, don't you agree? 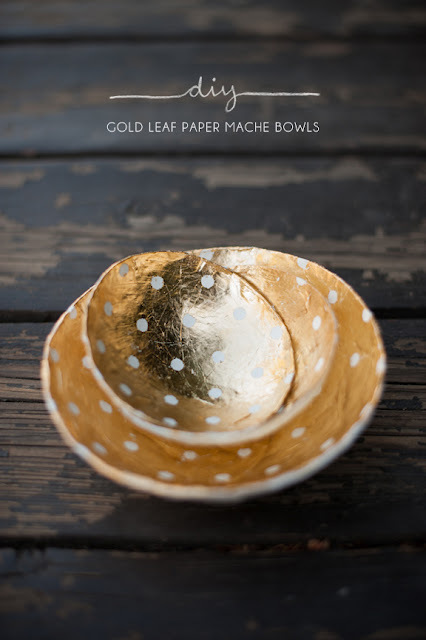 I saw these paper macho bowls on modern jane last friday (she found them here), and loved them! 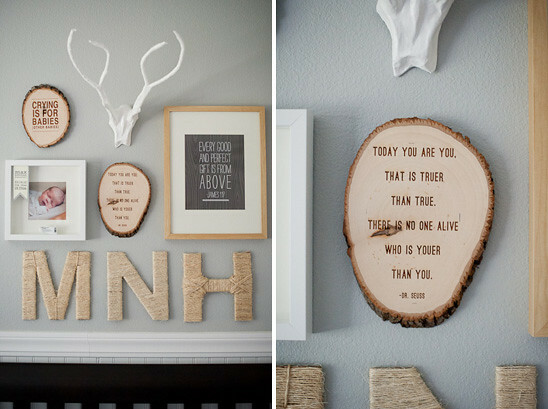 Such a cute idea, whether you plan on making them for yourself, or maybe to give as a gift! Anyone up for a little DIY this weekend? 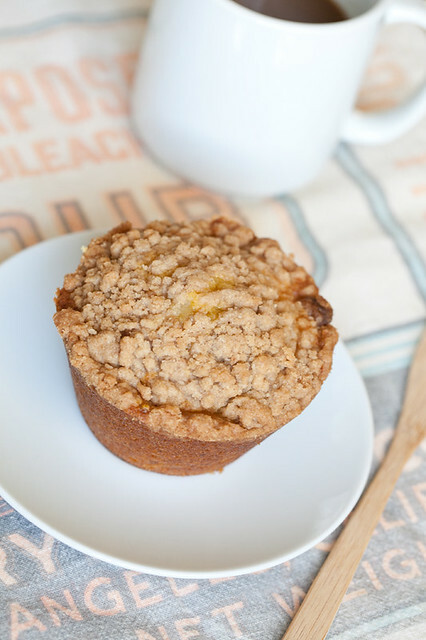 I have a can of pumpkin sitting in our kitchen cupboard that is just begging for me to turn it into some of these muffins, that I found on Sugar and Charm. Only problem is that B does not like Pumpkin flavoured stuff, so I'd be on my own eating them... and that's the last thing I need right now! 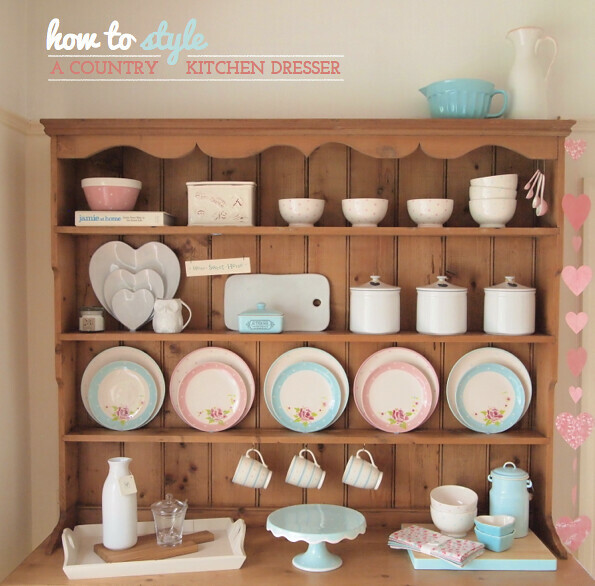 One of my favourite bloggers, Will, did a great post on styling a country kitchen dresser. Loved this post, and love how he worked his magic! 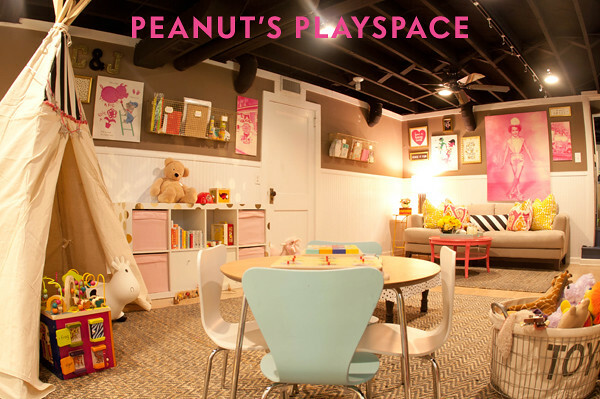 This playspace, from lay baby lay, is perfection! It is beautiful, functional and organized. 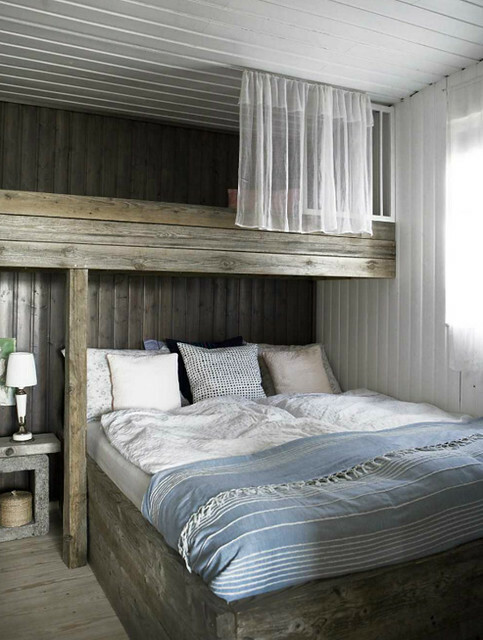 The perfect spot for little one's and Mama's. 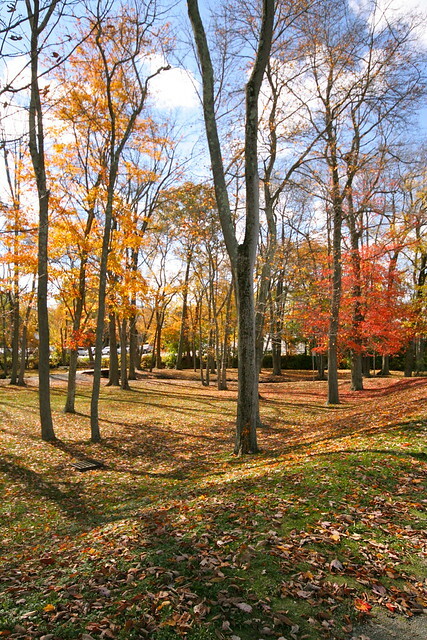 Hard to believe that gorgeous space is a basement, isn't it? A lovely home on desire to inspire this past Wednesday. I love how real it comes across in the photos. So lived in and cozy. Just love it! Well, it's the weekend again, and should be fun. 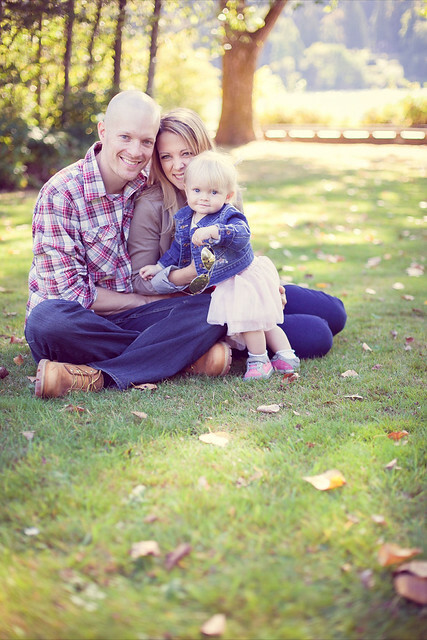 Tomorrow we will have family photos taken, and follow that with a Thanksgiving dinner with friends. Other than that, we should just have a whole lot of family time together - exactly what this long Thanksgiving weekend is all about! So - I'll sign off for now, wishing all of my Canadian readers a very happy Thanksgiving! Enjoy and I hope you are surrounded by all those that you love the most!